After you’ve started your day with free, hot breakfast, visit the vineyards and restaurants of Sonoma, the Russian River Valley, Alexander Valley, and Dry Creek Valley. Wine enthusiasts will love our location near historic Healdsburg, full of boutiques and tasting rooms. Experience a wine pairing dinner at Charlie Palmer’s Dry Creek Kitchen, where the menu features artisan cheeses and local ingredients. You’ll also be near the Sonoma Mission and Armstrong Redwoods State Reserve. Our Rohnert Park, CA is in the perfect place to experience it all. After a day of exploring, enjoy a free, 24-hour beverage station complete with coffee, tea, and hot chocolate in our lobby. 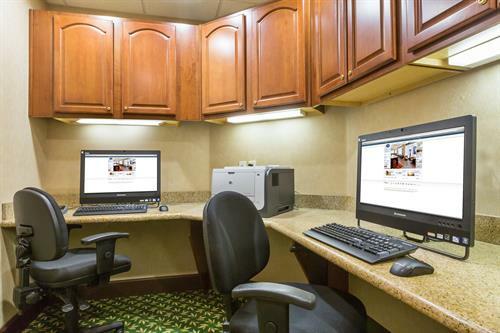 At the hotel, enjoy thoughtful amenities like our fitness center, outdoor swimming pool, and business center with printing services. You’ll enjoy the convenience of our on-site self-service laundry, too. Our hotel also includes 728 sq. ft. of meeting and event space with room for up to 50 people.